April of 2005, a young mom was confronted with a diaper rash that just wouldn't quit. They make diaper changes easer because you don't have to take off pants to change a diaper. 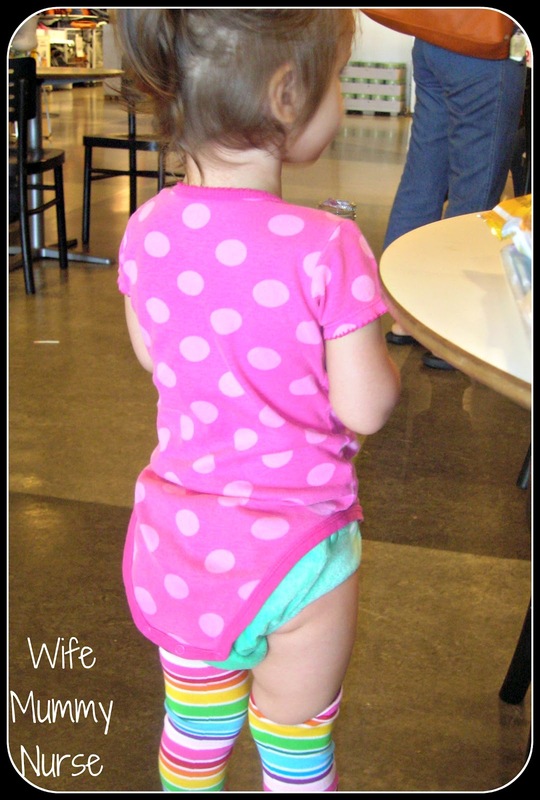 In the summer, I try to have a pair of BabyLegs in my diaper bag because some stores keep the air conditioning so low, my daughter tells me, "Cold." This happened the other day when we were in IKEA. They also help protect my daughter's knees when she learned to crawl and walk. They are a cute fashion accessory. They have a lot of good sales and have specials every Friday on specific styles, see their Facebook page for Facebook Friday! while she's playing on the ground. Have you tried BabyLegs? What's your favorite style? I was sent a grab bag of BabyLegs® for the purpose of this review. I love these...they are adorable. Such a great idea you had about carrying a pair for in the stores. We have run into that problem a lot with the kids. I know years ago with mine, I would take a blanket because they would get so cold. Love baby legs! Great for little ones learning to crawl! I really love the polka dot and striped BabyLegs! Can't wait to use them! I have some babylegs. We plan on using them when our baby is born. I love the new designs they have. My favorite was the Mr. Peter Rabbit pair but I do not see it anymore. What a great idea to keep a pair on you in the summertime just in case of a cold store! I think these are SO cute!!! I don't own any myself but a few girlfriends have them. I have a couple babylegs and I really like them! They are great to protect little ones knees, especially when learning to crawl. I really like the organic ones that they make! My son has 3 pairs of baby legs and I would love to get some more. They are just too darn cute! Baby legs are too stinking cute! So cute! I'd like to win these for my new niece to arrive in the fall. I love putting leg warmers on my little girl and it really is easier changing diapers and keeping her warm. Love Babylegs! My daughter is crawling and these are a must to save her little knees! I really want to try these on my son. I love all the boy designs. I love Babylegs because they are adorable and because they make diaper changes much easier! Plus I don't have to worry about finding pants that fit over CDs! I love Babylegs! They work so well for all ages! I used them a ton when my baby was born this winter so his tiny legs would stay warm! We Love babylegs! I think my favorite pair is the black with green skulls on them. I love babylegs and used them with my oldest! I love the Skee Ball Leg Warmers! Love mine and keep some in my diaper bag as well! These are such a great idea, I would love to try them! I would love to get some of these for my little gal who will be crawling very soon! Baby legs are adorable! More boy / gender neutral colors are always welcome. Those are so cute! What a great idea. I can't wait to try them on my baby girl, when she gets bigger. I really like the Kaleidoscope Legwarmers. Baby Legs are adorable and we only have one pair so far! Definitely need more. 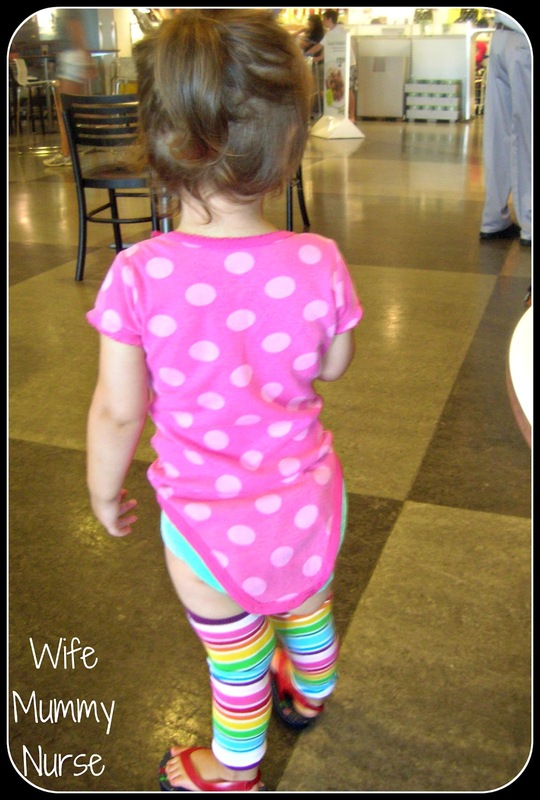 I love babylegs - I'm all about letting my kids go without pants! It's a good way to show off the fluffy cloth diapers too. Baby legs are my guilty pleasure! I love them so much! I love babylegs with little dresses and skirts. soooo cute! I love babylegs and I'm so bummed I didn't discover them sooner! They would have been a lifesaver during diaper changes on cold days. I love that BabyLegs makes changing easier! My daughter is due in 3 weeks and we can't wait to use our pair of baby legs on her. They're so cute! Babylegs are sooooo cute. I love that they keep my LO's little legs warm and still give me quick access to change her. Getting pants on and off a kicking baby over and over all day is really irritating and babylegs totally save me that hassle. Love them so much. Those pics of your daughter are so cute! i love bl they are comfy and keep baby warm.. love love love. i have not tried these yet! hope to soon! I love the idea of having these around for the summer, especially with my 6 week old -- who wants pants in August?! I love these, I think its especially important that they protect the knees. And such freedom from removing pants all the time. I love Babylegs! I didn't think of using them to layer when it's colder (especially for over air conditioned buildings). I had put them away when my son potty trained, but I may have to pull them out again for fall! Love baby legs! Great for crawlers! So cute! Would love to win some more baby legs! These would be perfect for when the weather starts getting cooler. I want a pair so bad. They are definitely high on my wishlist. I love my babylegs! They're super adorable and help when he's crawling all around so he doesn't get carpet burns on his knees! I love baby legs because they are cute, comfy, and make diaper changes must easier!